Motor Vehicle Accidents result in serious injuries such as broken bones, chronic pain, psychological trauma, and unfortunately can sometimes be fatal. Every year thousands of Canadians are injured in car accidents which are one of the leading causes of personal injury in the country. It is very common for certain types of injuries to surface days after the accident occurred and some injuries will not become noticeable right away. In order to get back their lives back to normal, victims will require careful medical assessment, diagnosis, and treatment of their injuries. Combined with a loss of wages and other out of pocket expenses an car accident can put undue stress on the victims and their families. Being involved in a car accident entitles injury victims to accident benefits which include but are not limited to medical rehabilitation, income replacement, and attendant care. Benefits such as caregiving and housekeeping may be available through optional coverage. In the event that a victim’s injuries are placed in the catastrophic category, the amount of coverage that becomes available can increase drastically. Unfortunately for car accident victims, insurance companies will attempt to limit or outright deny these benefits. Tort compensation is available to car accident victims who were not at fault for the accident, where the at-fault party’s insurer is responsible for compensating the injured parties for damages. The damage stemming from tort claims include but are not limited to pain and suffering, loss of wages, and future care costs. Recent changes to the Ontario legislation have further complicated and an already complex process which makes having an experience personal injury lawyer more important now than ever. Insurance companies are businesses that try to stay profitable at all costs which translates into looking out for their shareholders more than policyholders. Insurance claims adjusters are tasked with keeping costs low and therefore denying benefits, withholding payments, and generally delaying the claims process is unfortunately something that is done far too often. 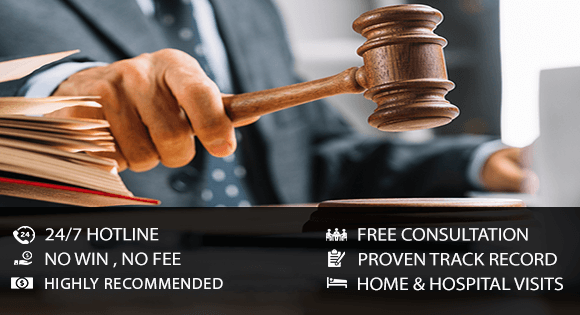 Making lowball offers for Tort claims and trying to get injury victims to accept a substantially smaller amount than they are entitled to is par for the course. After the recent changes in applicable legislation the claim process became even more complicated which makes having an experienced personal injury lawyer on your side more important than ever before. No matter if the accident is your fault or if the other driver didn’t have insurance even if they tried to run away for the scene of the accident, you are still entitled to compensation for your injuries. The expert legal team at KPC Injury Law has helped thousands of Ontario car accident victims get the benefits, compensation and more importantly, the relief that they deserve. Contact KPC Injury Law for a free, no obligation consultation and put our team of personal injury experts in your corner. Get the experience of nearly a century of successful cases and the expertise that comes with a highly regarded practice. Contact KPC Injury Law, the personal injury specialists.